Butynski & De Jong (2018) Geographic range, taxonomy, and conservation of the Mount Kilimanjaro guereza colobus monkey (Primates: Cercopithecidae: Colobus). Hystrix. The Mount Kilimanjaro guereza colobus monkey is endemic to northern Tanzania and southern Kenya, occurring on and near Mount Kilimanjaro/Mount Meru. 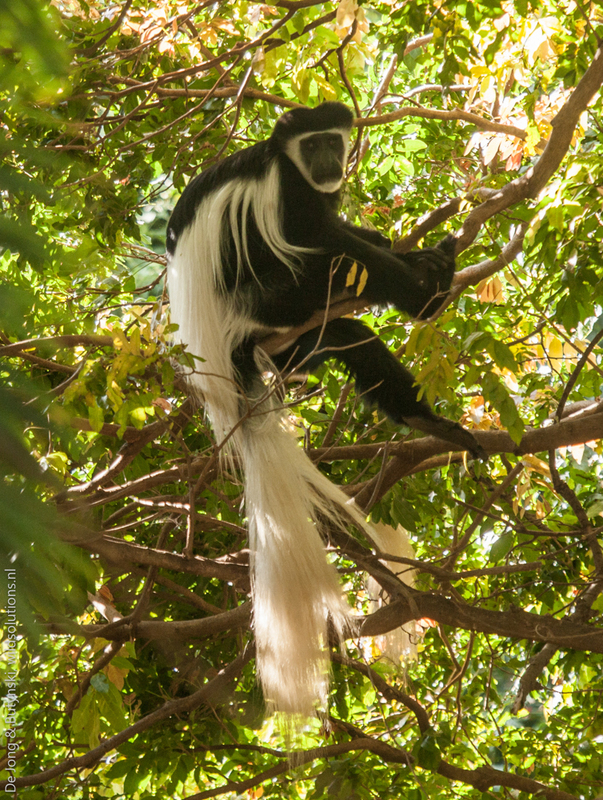 Currently referred to as “Colobus guereza caudatus Thomas 1885”, this monkey is geographically very isolated, and phenotypically distinct from all other taxa of guereza monkeys. As such, application of the “Phylogenetic Species Concept” resurrects the Mount Kilimanjaro guereza to specific rank as Colobus caudatus. The geographic range of C. caudatus is small (ca. 4030 km2) and in decline, as is the number of individuals and area of habitat. 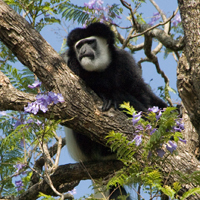 Colobus caudatus qualifies as an IUCN Red List globally “Endangered” species, as a nationally “Endangered” species in Tanzania, and as a nationally “Critically Endangered” species in Kenya. Colobus caudatus is Kenya’s most threatened species of primate. 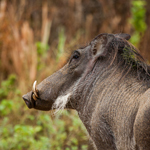 Recommendations for research and conservation actions are provided. Adult female Mount Kilimanjaro guereza Colobus caudatus at Kitobo Forest Reserve, central south Kenya. Notice that the white tail tuft comprises about 80% of the tail. Photograph by Yvonne de Jong and Tom Butynski.